The annual Vancouver Queer Film Festival gets underway on August 10, featuring more than 50 films in the annual curated festival celebrating queer cinema. Among the films to be screened this year is the autobiographical documentary, Crossing Bridges. 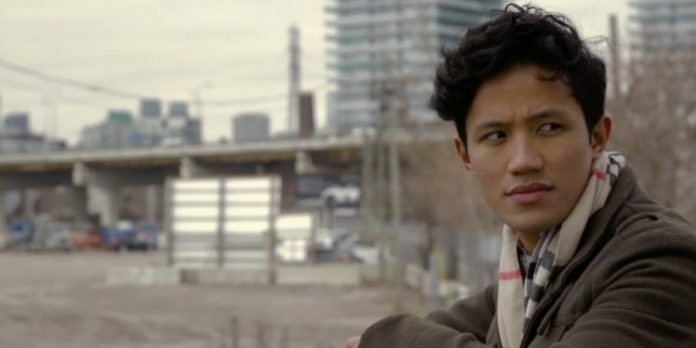 The first outing for Ryerson University graduate Rama Luksiarto, the film is a personal view of Luksiarto’s life as a gay Asian immigrant. But telling his own story wasn’t the filmmaker’s first choice. One of the difficulties he faced was in being both filmmaker and subject. Luksiarto also found it difficult to turn the lens on himself given his cultural background. While finally making the decision to tell his story, Luksiarto’s original idea was to tell it from the perspective of friends and family. He was guided back to telling it from his view with the help of his Ryerson professor. Luksiarto characterizes his film as part of an ongoing self-discovery, and as reconciliation between his upbringing and homosexuality. His journey began when he moved to Canada in 2006. Having the choice of moving to study in Singapore, Australia, or Canada, Luksiarto chose the furthest location. While Luksiarto may have chosen Canada as a means of escape, he did have some ties to his new home, as his brother was already living here. Eventually finding himself in Ontario, it was there where he faced his biggest challenges as an immigrant. While he knew at the time he was gay, it wouldn’t be until his first year at university when he would finally come out to his family. His mother was first, and while it was difficult for her to hear, Luksiarto says she remained supportive. Coming out to his father though was much harder, and still very much a work in progress. Things began to change with his father when Luksiarto introduced him to his partner. He credits the film in also helping to create a closer bond with his father. “In a lot of ways creating the film was another coming for me and my dad, to be able to talk about being gay,” he says. Still on a journey of self-discovery, Luksiarto sees Crossing Bridges as a beginning. Crossing Bridges screens along with The Migrant Mixtape on August 17 as part of the Vancouver Queer Film Festival. Visit http://queerfilmfestival.ca for tickets and information.